Life for a vegetarian or vegan has become refreshingly easy in South Africa. To help those who’ve forsaken meat to stay popular with their carnivorous friends, we’ve compiled an overview of carnivore-friendly spots that cater for vegetarians and vegans. Known for being vegetarian, but also vegan and ultra-healthy. 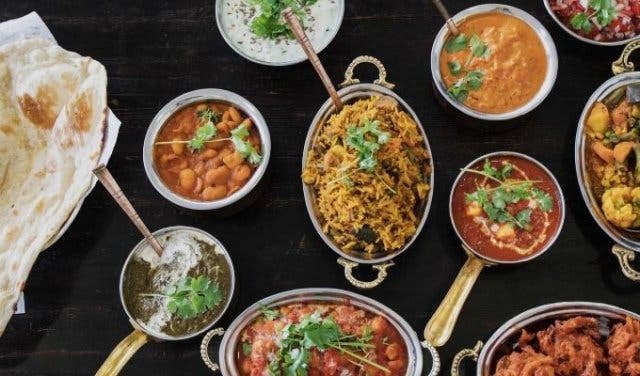 Chef Seelan Sundoo’s trendy Sea Point eatery serves Ayurvedic-style (food as medicine) cuisine that blends South Indian spice with Durban flavour, all in the heart of trendy Regent Road. 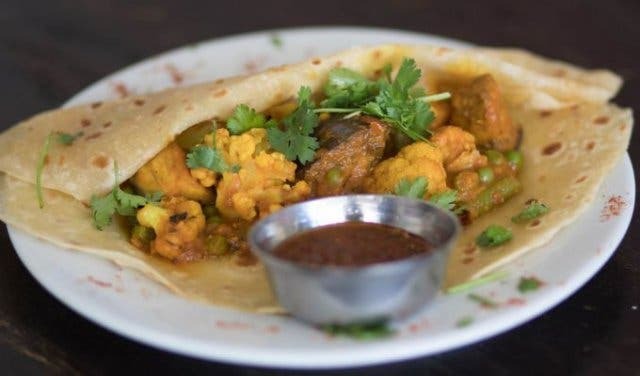 There are no animal products in the sauces or preparation, and vegetarians will love the wild mushroom, baby marrow and homemade cheese tapas, or paneer and green pea curry. Vegans can savour the spices of a delicious bean curry, clay roasted vegetables or vegetarian platter. Discover Sundoo restaurant in Sea Point. Tip: Discover ideal business lunches and dinners in Sea Point. Danish-born chef Beatrice Holst embodies the benefits of living the lifestyle that her award-winning city bowl eatery promotes. The passion she puts into her raw vegan gourmet creations shines through in the Insta-worthy eats such as salad with truffle, tamari-infused portobellos, tomato, avo and parsley or morning glory breakfast bowl with chia pudding, cashew milk, homemade granola, fresh fruit and edible flowers. Find out more about Raw and Roxy. Why would anyone have the need or desire to eat beef in India when Indian veggie cuisine is so moreish? 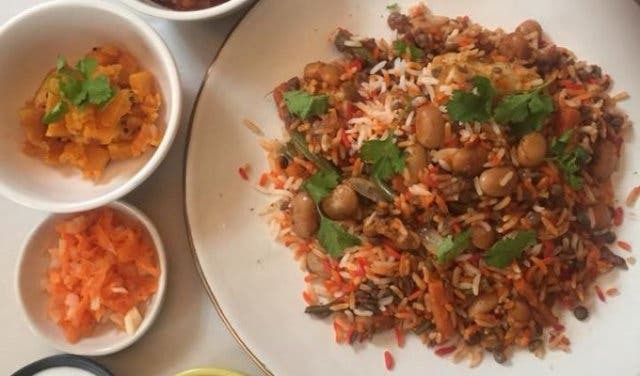 Mother-and-son team from the famous Maharajah Vegetarian brand collaborated to bring us the robust taste of vegan and vegetarian Indian cuisine. 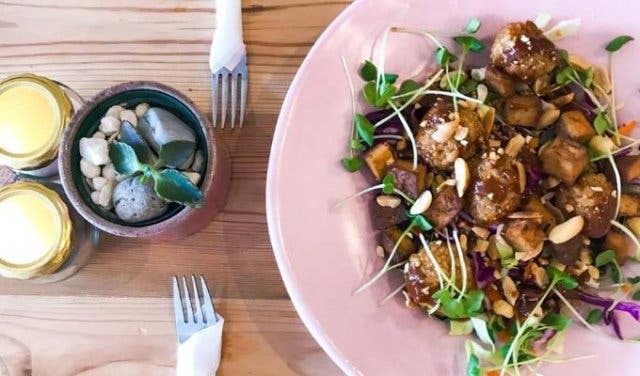 Look out for the bright pink beacon of veggie goodness at this modern-day cafe in Kloof Street. This beacon of yellow sunshine in Three Anchor Bay creates nourishing vegan food. You have to try their burgers! Superb coffee along with beautiful food prepared with skill and freshly served. 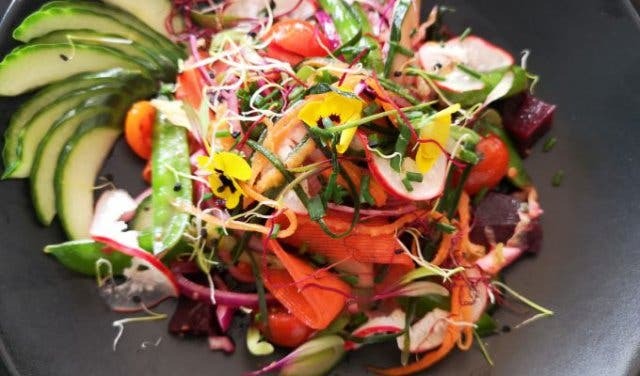 The menu is simple and highlights fresh, healthy ingredients sourced from the best of Cape Town’s local produce. 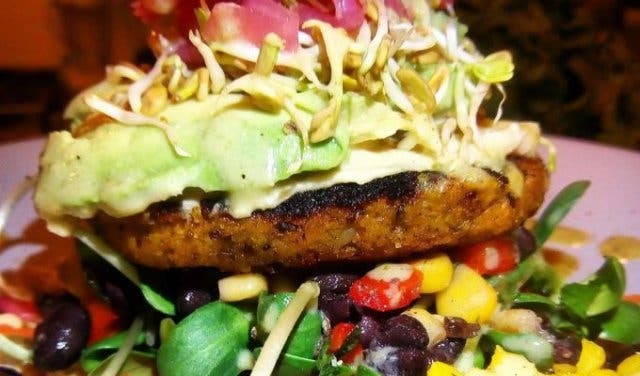 There are plenty of vegetarian and vegan options clearly marked on the menu. Any other items on the menu, which are not vegetarian or vegan, can be customised on request by substituting certain ingredients. 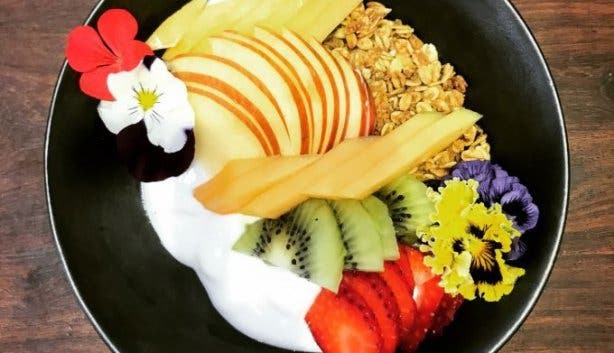 Gluten- and lactose-free options are available too such as their Fruit Bowl with homemade granola and yoghurt (substituted with coconut yoghurt) or their Cous Cous Salad (substituted with quinoa) with rocket, Mediterranean vegetables and avo. Learn more about Ground Art Caffe. The Hungry Herbivore is an artisanal plant-based eatery and snack manufacturer. 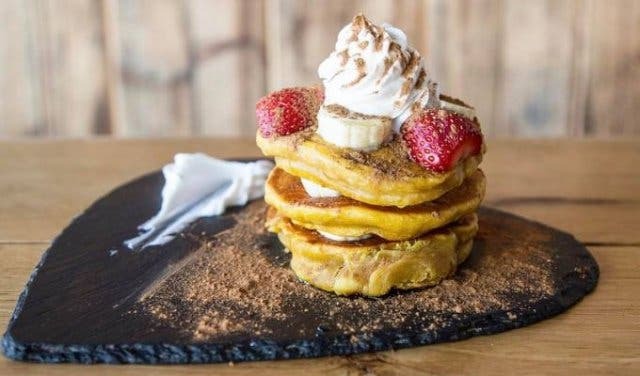 They offer a delicious selection of takeaway vegan breakfast, lunch, drinks and decadent cheesecake. There are also multiple gluten-free options and your drink order comes with a paper straw! Find out more about The Hungry Herbivore takeaway. 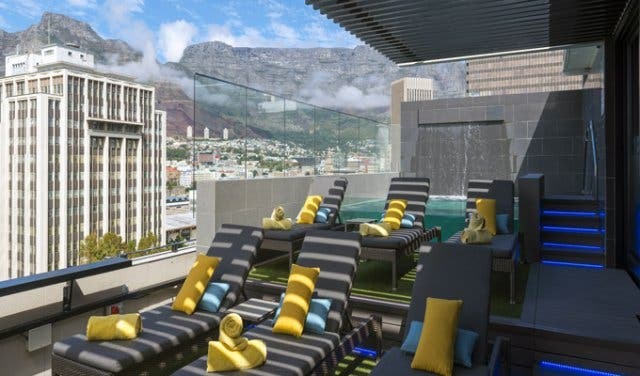 Overlooking Table Mountain and the city, perched on the 11th floor, Harald’s Bar & Terrace offers a new vegan menu. 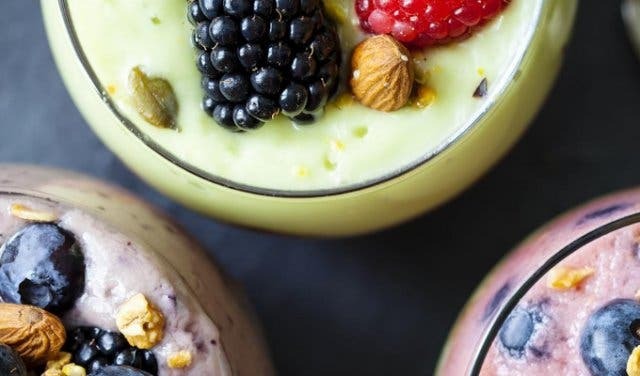 Choose from starters, mains and desserts, and you can even enjoy vegan wine, a cocktail or smoothie as you catch some rays by the splash pool. Read more about the Park Inn Foreshore. 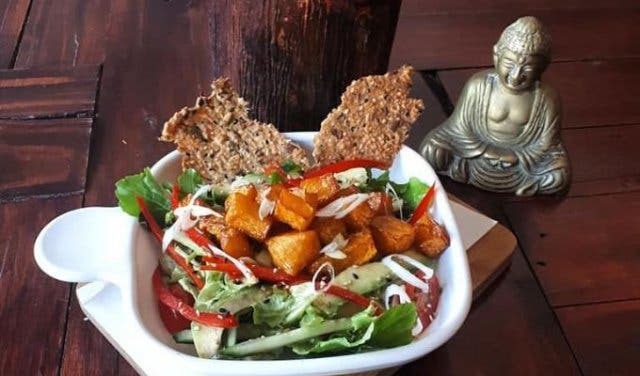 This vegetarian and vegan sanctuary offers a colourful and seasonal menu of juices, shots, smoothies, salads, bowls, coffees and more. They source produce from local farms and engage in sustainable practices, for example, juices are bottled in glass jars that you can return for a refund, and of course, there are no plastic straws here! Hours: Mon–Thurs: 7am–5pm; Fri: 7am–4pm; Sat: 8am–2pm; Sun: 8–12 noon. 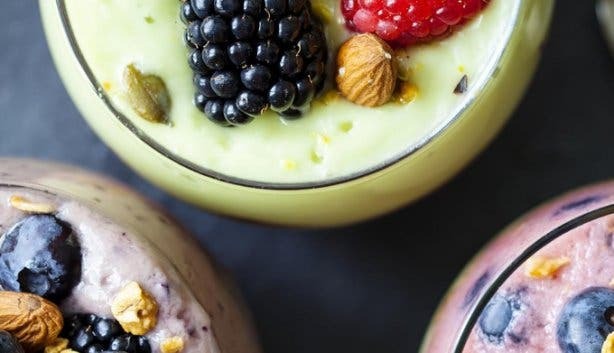 Scheckter’s Raw serves fresh plant-based food that looks as good as it tastes and bursts with flavour. In addition to their juices, smoothies, breakfasts, bowls, mains, and hot drinks, look out for their treats. All treats are sugar-free, dairy-free, raw and organic, sweetened with low-GI coconut nectar, and most are gluten-free too. Get your fix of Reese’s Cups or Twix and indulge with none of the guilt. 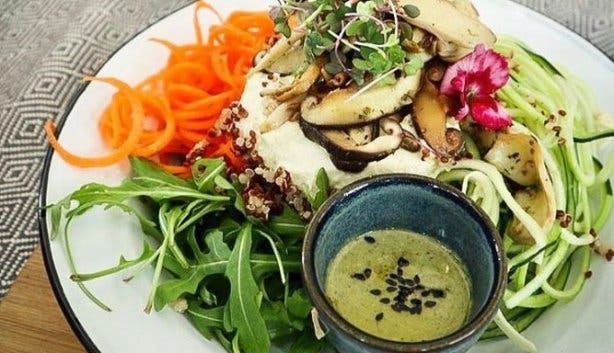 Pure Cafe supports non-profit organisation Greyton Farm Animal Sanctuary to raise awareness about the plight of farm animals and to showcase delicious and seasonal plant-based food. Pure Cafe supports local organic farmers and producers to ensure that most of the produce is fresh, seasonal, organic and locally grown or made. O’Ways boasts over 100 Nigiro teas hailing from all over Africa and Asia as well as coffee. 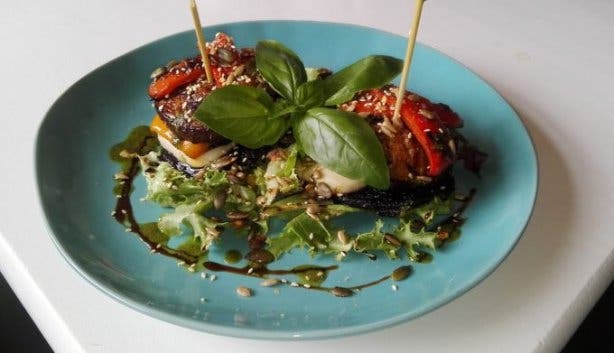 The menu offers vegan delights such as pan-fried crumbed tofu with basil pesto and sweet-sour sauce served on a bed of pearl couscous with seasonal vegetables and a green salad. Learn more about O’ways Teacafe. This little hole-in-the-wall cafe is an organic superfood smoothie bar serving moreish vegan chickpea curry rotis. 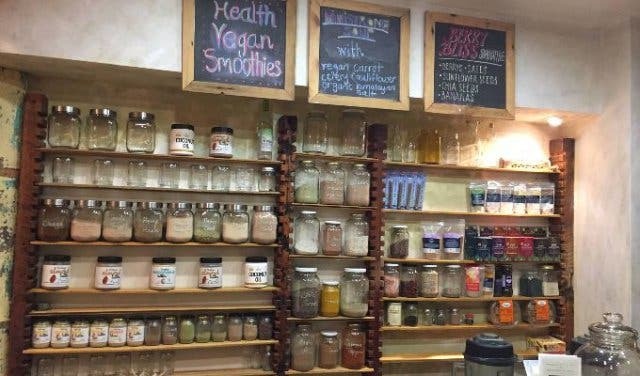 Have a look at their chalkboard for updates and specials and don’t miss out on their magical elixirs that promote radiant health and longevity. GroundZero serves amazing Marley Coffee, hosts awesome musical events and offers strictly vegetarian and vegan food, snacks and juices. Think cinnamon-flavoured butternut salad served with homemade flaxseed crackers, gluten-free waffles and so much more. Chef Theresa Peters’ kitchen focuses on cooking healthy, vegetarian and vegan dishes with versatile favours and spices. 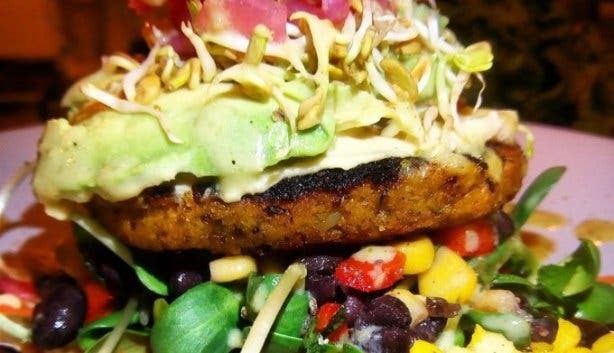 The menu is entirely free of meat and uses soy and paneers in place. 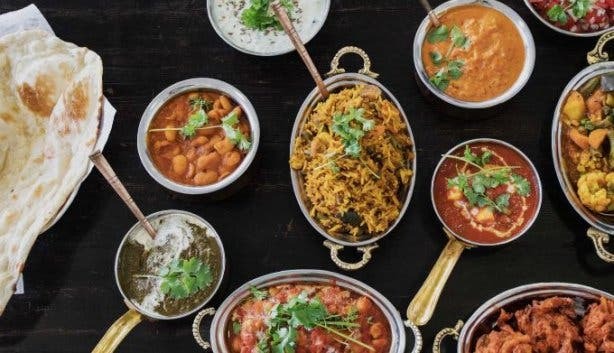 Recipes have been passed down from generation to generation, and dishes are served with biryani, rice or roti and with raita and dhal on the side. The hip cafe is also a popular student spot, and all dishes are available for takeaway. Touted as the pioneer of the juicing scene in Cape Town, Orchard on Long was born out of a passion for nutrition. The dedicated team cold-press produce with state-of-the-art hydraulic juicers throughout the day to ensure the freshest and most nutritionally dense juices around. The vegetarian and vegan dishes include smoothie bowls, wraps, sandwiches, soups, salads, smoothies, and more. Read more about Orchard On Long. The original Cape Town Craft Burger bar for over 15 years. Not just any burgers, but burgers that make your soul tingle and your dreams come true. With leftovers still wrapped as a swan. 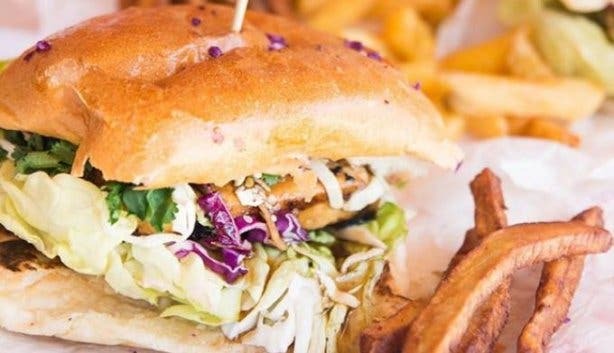 There are entire sections on the menu devoted to vegan and vegetarian burgers, and you’re sure to come back again to try them all. Read more about Royale. 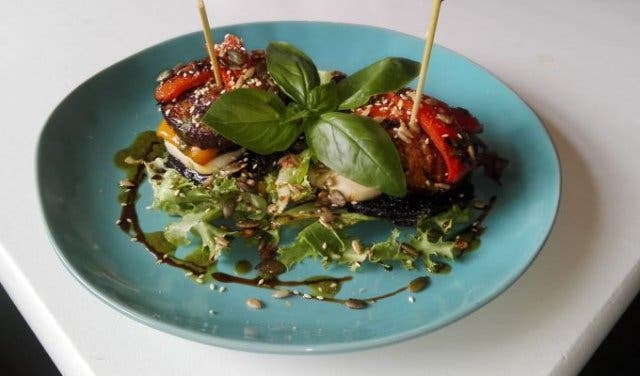 Plant is a vegan and vegetarian eatery that offers 100% meat-free dishes with a commitment to being deliciously conscious. Order drinks from the rainbow of fresh juices and smoothies and fill up on the Dirty Mac & Cheese (macaroni drenched in a rich and piquant cheese sauce topped with homemade Parmesan). Be sure to ask about their raw cakes, and if you’re in need of vegan catering, Plant is your go-to! 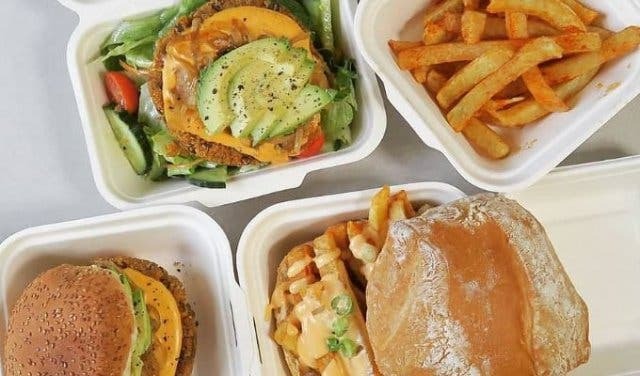 The future of vegan fast food dawned on the city in late 2017 when Lekker Vegan opened its doors in the East City Precinct area. 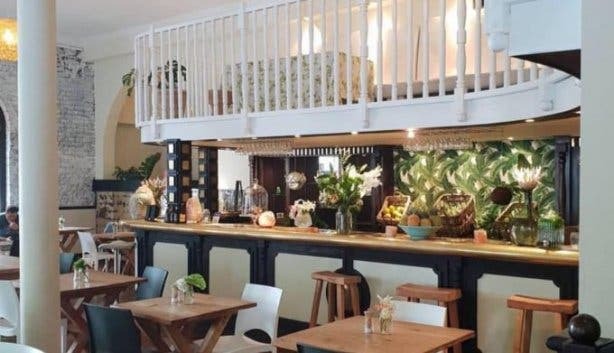 Since then, they have impressed vegans (and carnivores) so much that they have opened a second branch in Kloof Street. 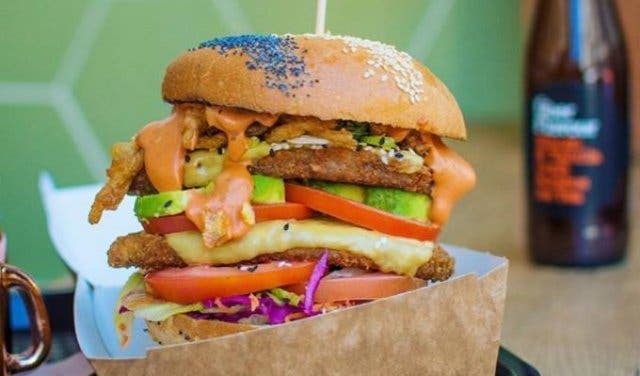 Lekker Vegan showcases how tasty vegan food can be through popular take-out dishes, typically seen as junk food. Find out what’s on the menu at Lekker Vegan. Barrack/Harrington: Sun–Thurs: 12pm–10pm. Fri & Sat: 12pm–3am. Kloof: Mon–Thurs: 10am-10pm. Fri 10am–midnight. Sat: 10pm–midnight. Sun: 11am–9pm. This is a plant-based, gluten- and refined sugar-free bistro trying to make the world a better place one delicious meal or treat at a time. Follow them on Instagram to see what's on the menu. This restaurant treats diners to a full-on taste explosion from Durban. The owner, Invin Vandiar, conjures up lekker, Indian dishes; the curries, many of which are vegetarian, are big favourites. 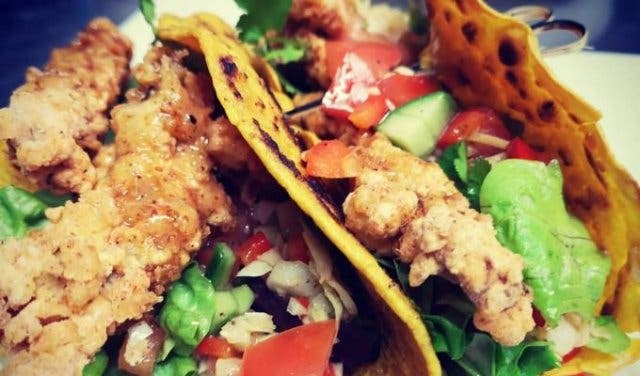 The menu also boasts a hefty assortment of meat-free starters, and all dishes are freshly prepared – you’ll find all local Durbanites praise the delicious food. A new inclusive yoga studio, reflective of local society at Holding Space Cape Town. 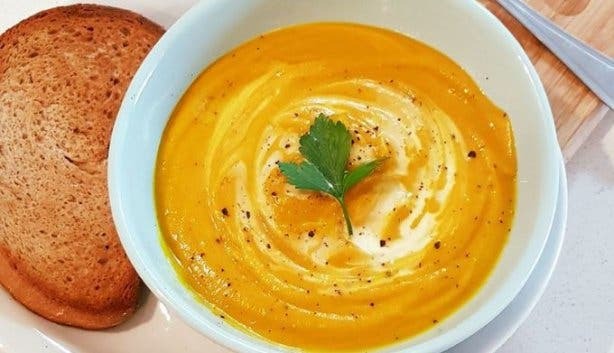 Get fresh, healthy soups as online favourite opens up their very first eatery, JarBar. 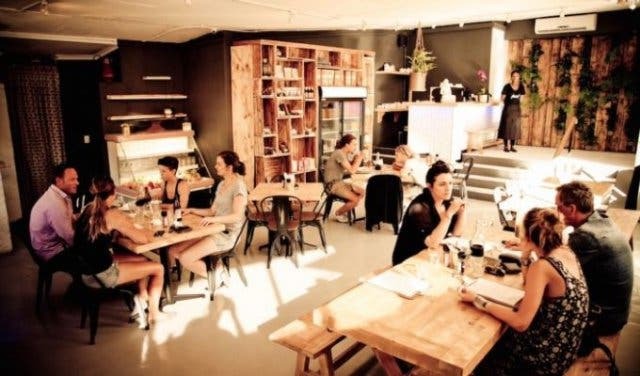 Take a look at our overview of healthy eateries in Cape Town. 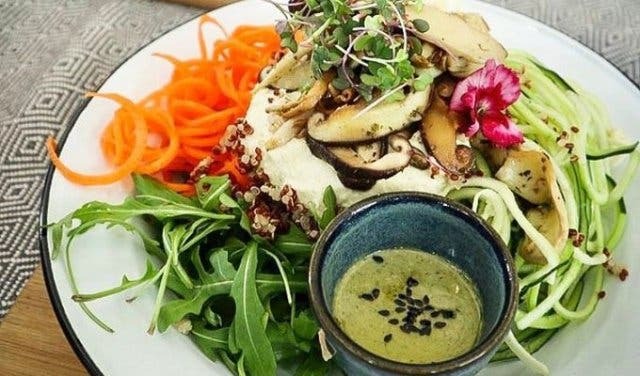 If you are looking for vegan and/or vegetarian places to eat outside Cape Town have a look at our overview based in around these fine eateries in and around the Stellenbosch Area. Get your yoga on at beautiful outdoor venues around the city with The Om Revolution and check out The Om Revolution schedule.